The pageant "Il-Passjoni ta’ Sidna Ġesu Kristu", which is normally organised in Tarxien, is coming to Valletta this Holy Week as part of the celebration of Valletta's 450th anniversary and includes the participation of a number of members of the Valletta community. Valletta 2018 Chairman Jason Micallef, together with Għaqda Kultura u Armar Marija Annunzjata Tarxien secretary Etienne Schembri and Valletta Mayor Alexiei Dingli, this morning announced details of the upcoming Holy Week pageant “Il-Passjoni ta’ Sidna Ġesu Kristu” which will be taking place in the streets of Valletta on Saturday 19th March. The pageant, which is generally organised in Tarxien, will this year be organised in the capital as part of Valletta’s 450th anniversary celebrations. 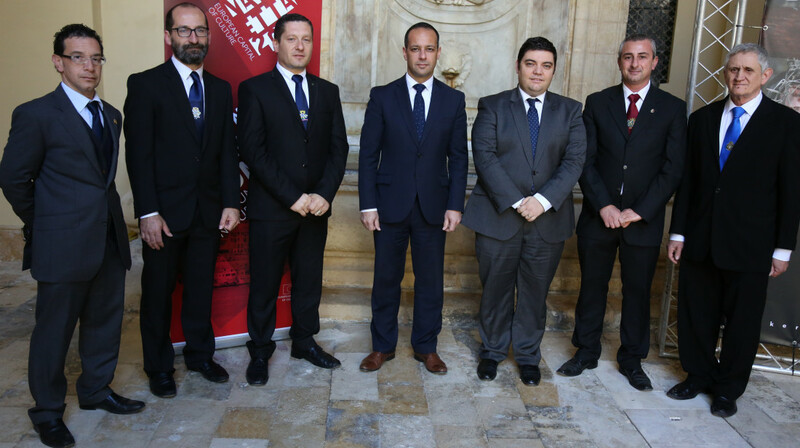 Valletta 2018 Chairman Jason Micallef said, “This edition of the Tarxien pageant is a special one as it includes a collaboration between different organisations to strengthen culture. It also includes the participation of various members of the Valletta community.” The Tarxien pageant will includes the participation of King’s Own Philarmonic Band, Għaqda Muzikali Marija Annunzjata of Tarxien and Għaqda Muzikali Beland of Żejtun. The Pageant will start from the Grandmaster’s Palace and will move throughout the streets of Valletta. It will end up at Pjazza San Ġorġ where the Crucifixion will be staged. Music is written by Andrew Zammit and Mark Tonna with lyrics by Ray Mahoney. Debbie Scerri, Mary Spiteri and Soprano Lydia Grech will also be performing during the Pageant. This year’s representation is being organised by Għaqda Kultura u Armar Marija Annunzjata Tarxien in collaboration with Valletta Local Council and Valletta 2018. Music by band clubs will start at 6.15pm while the Pageant will proceed from the Grandmaster’s Palace at 7pm. The event will be over by 10.15pm to allow people to use public transport to get home.